Are you looking for a professional Sydney carpet cleaning company? Not all carpet cleaning companies are the same, and it can be tricky to find a reliable, trusted business. The good news is there are some exceptional local carpet cleaning companies out there, and our team have found them for you! We are proud to present our recommended professionals below. These companies all take pride in the work they do and conduct business with honesty and integrity. Wally’s Carpet Cleaning Stands Out From the Crowd. 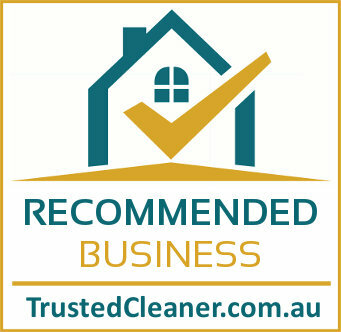 With over 15 years experience servicing all suburbs in Sydney, Wally’s Carpet Cleaning has established a reputation as a trusted, reliable and highly skilled company. Your carpets are cleaned using powerful truck-mounted steam cleaning machines which leave your carpets fresh, clean and dry within 2-4 hours. All technicians take pride in their work and are certified by the IIRC (Institute of inspection Cleaning and Restoration). With their 100% money back guarantee there’s no risk. If you don’t feel you’ve had the most detailed clean ever, they’ll come back and clean again for FREE. If you are still not satisfied you’ll get all your money back. Commercial specialist with experience in offices, factories, schools and other business premises. A premium quality carpet cleaning service at very reasonable prices. Adams Carpet Cleaning Sydney do business with honesty and integrity, and are only happy if you are thrilled with the end result! They are a full service provider, offering the full range of carpet, rug, upholstery and lounge cleaning services to both home owners, tenants and businesses. There’s no surprises when you choose Adams. You get upfront, transparent pricing and a no questions asked satisfaction guarantee. Their staff are fully trained in-house and by the IIRC, so you know you that you’ll get an experienced, reliable technician to ‘work their magic’ on your carpets. Premium and economy packages available to suit all budgets. When a company gets most of their work through recommendations and referrals you know they are a quality business. This companies clients include home owners, small businesses, schools, factories and government departments. Wizard Carpet Cleaning offer a personalised service, and their highly skilled technicians will select the right equipment and products to match the type and condition of your carpet (both powerful truck mounted steam cleaning machines, and portable dry-cleaning machines are available). This is a business dedicated to customer service and satisfaction, and you’ll get free quotes, friendly advice and most importantly: no surprises (or hidden charges)! Talk to the team today and find out more about their unique 8-step deep cleaning process. Free no-obligation quotes are also available. 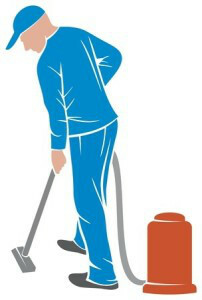 View the TrustedCleaner approved rug cleaning, tile cleaning, upholstery cleaning companies. Recently Added: Window, Home, Office and Gutter cleaning services. It has been brought to our attention that there are businesses in the area using deceptive marketing tactics, and doing sub-standard work. This quick guide will help you avoid the bad guys, and find a reputable company. You really do get what you pay for when it comes to cleaning carpets. If you see a price that sounds too good to be true, it probably is. Some unethical companies use ‘bait and switch’ pricing. They lure you in with a low cost price and then when they arrive add-on the extras, which are usually included for free. You’ll often end up paying over and above what you should have (for what is usually a poor quality job). Some companies use cheap equipment, low-grade chemicals (no even no chemicals at all!) and unskilled staff. The result is probably the same as you could have got doing the job yourself. Should I go for steam cleaning or dry carpet cleaning? The answer is it depends on the condition of your carpets (or rugs/upholstery), the age of the carpet and the type of stain. Steam cleaning is more popular and can be used almost everywhere, however you do need to wait 2-4 hours (depending on the weather) before you can walk / use your carpets, which can be an issue for some houses / offices. Will cleaning shrink my carpets? Is it possible to remove ALL stains? No. A professional technician should be able to get rid of most stains (including pet urine, red wine and even oil), however there are some stains, especially if they have been left for a long time that cannot be fully removed. A member of staff will be able to advise, by looking at the stain, if they are able to remove it before attempting to clean.